So happy to be sharing this dresser with you today. It's been about a month since my last dresser, can't believe it took me so long. Been a little busy with my babies. i just got home from a kids bday party- time for some mommy time! this was the first post i read and it gave me some beautiful eye candy! 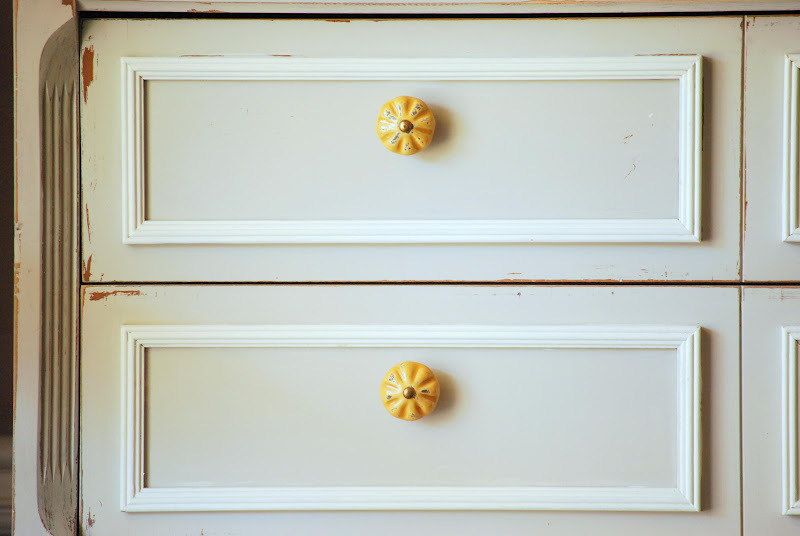 i love the knobs on this and i love the white- it's just so pretty and sophisticated and whimsical all wrapped up in one piece! it looks gorgeous....love the contrast....subtle but very effective!! Oh my! I love this piece! It's gorgeous! The legs are to die for and I love the subtle two tones! Gorgeous! This is really beautiful and the knobs are so perfect! Hope we'll see you at our Be Inspired party on Tuesday! Beautiful!!! I love the knobs. Love this piece!! Fantastic job! It's fabulous! I love it, Kathleen! 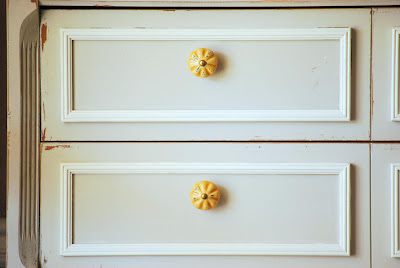 Great detail, color and fun knobs. The white trim really makes the dresser pop! love, love it! the knobs just shine! I love this! Beautiful choices in the color and hardware. It turned out beautifully! I am hosting my first link party today and would love for you to link this up, along with anything else you like! PS- I've started a Blog Hop to replace GFC- would love for you to stop by and join in. Hi Kathleen! I can't believe how long it's been since I've actually had a chance to sit down and catch up on some much needed blogtime :) I'm in the same boat as you with the new(er) baby (almost 8 months). I love this dresser and my favorite is the one you did for your sister in the previous post. You did an absolute perfect job on it. 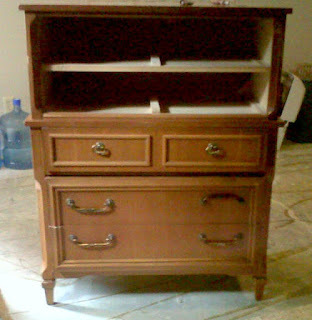 Love the color choice, finish and piece itself and the hardware was the bonus. Love it. Enjoy your baby! Wow looks gorgeous! What color did you paint this? I have a dresser that could use a good painting.